Sometimes, we need a noisy love song. A song that blends with our squeaks and giggles. A melody that melts into our paddles and swats. Sometimes we never return to a chorus, but escape into eternal improvisations. I want to dedicate a love song that to clicks. pops. buzzzzzzzzzzzes. We keep each other on our toes, forever guessing. Shadows smother us in broad daylight as the dawn bursts suddenly from the darkness. We need a score accompany us. We need something that captures our summer's chill...the victory of our snowball's survival in Hell. Where is our song? call? tone? riiiiiiiiiinnnnnnngggg? Of course, we hold hands and buy Valentine's Day chocolate. We bicker, hurt each others feelings and make up. We eat fancy dinners where the menu's making little sense. But, who sings along to way her teeth chatter? Who's rhythm matches how I'm always late but always on time? Sometimes, we need a noisy love song. Because we aren't crazy. stupid. drunk. But, our love makes us that way. Who writes noisy love songs for us normal people? 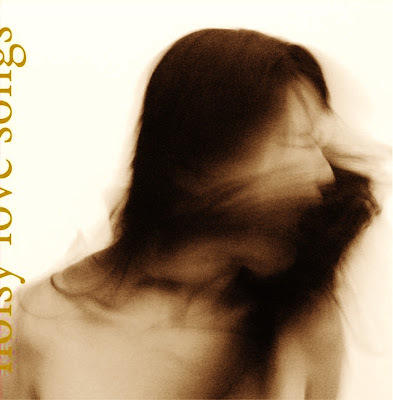 I have been completely captivated by this Okkyung Lee's latest album, "Noisy Love Songs". It's a beautiful blend of Classical, Noise and No-Wave. 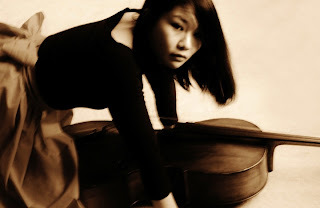 Somehow, she managed to compose a soundscape both smooth and coarse.